Our goal at Barlow Electric, LLC, is to provide quality work that will last, excellent customer service and communication throughout your entire Franktown electrical project and finish on time and within budget. We offer upfront pricing, no hidden fees and will explain every detail so that you understand what is happening throughout the entire project in your Franktown home or office. Barlow Electric, LLC is a locally owned full-service residential and commercial Franktown electrician. We are dedicated to providing the finest in evaluation, installation and customer service. Our professional staff is qualified to assess your project and will assist you in making the appropriate choice of materials and applications. We service all types of Franktown clients with complete knowledge and expertise. Our experience and precision craftsmanship set us apart from our competition. Our Franktown electricians are true profressional. They stay up-to-date witht the latest electric codes, technology and techniques. We offer a wide range of services including electric repairs, electric wiring, electric troubleshooting, electric inspection, ceiling fan repairs and more. Are you having problems with flickering or dimming lights, circuit breakers that constantly trip, switches and outlets that don’t work? If you are experiencing these things you should be concerned since it could indicate a more serious problem. For all electrical repairs Franktown homeowners call the experts at Barlow Electric, LLC. 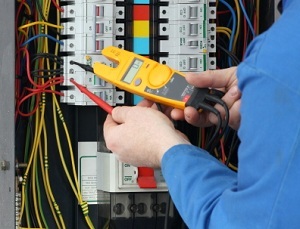 Our expert Franktown electrical repair pros can handle all of type of electrical repairs. We repair anything from blown circuit breaker to rewiring you home. When our Franktown electricians arrive to your home, we will diagnosis and repair any electrical problem you may be having. Proper lighting plays a crucial role in maintaining a good ambiance in your Franktown house. It doesn’t simply provide beautiful appearance but it’s also functional at most times. Aside from the comfort and ease that it provides, proper lighting can also give enlightenment, not just literally. Hence, if you want to end up living in a perfectly designed home paired with good lighting features, you should keep an eye on the interior lighting in Franktown. If you are looking for a Franktown Electrician then please call 720-333-8427 or complete our online request form.